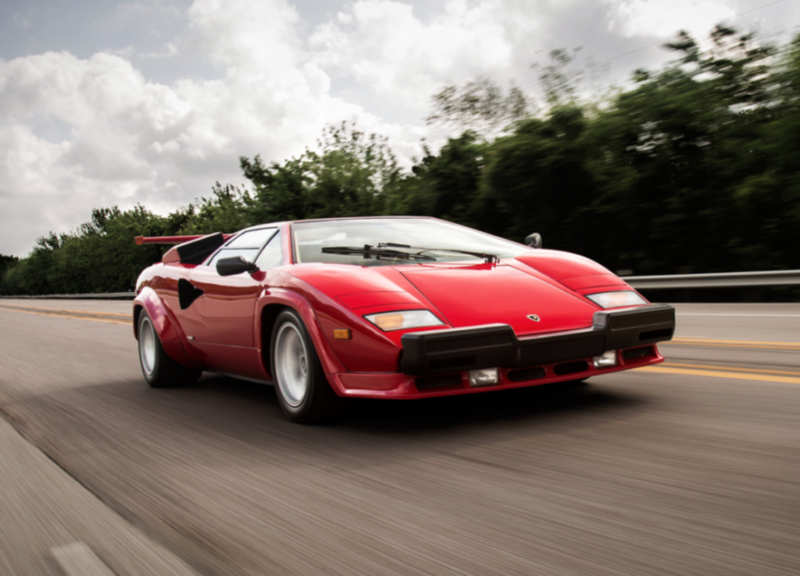 If you had to name one and only one car that fits the ill-defined criteria of what a supercar is, you would have to choose the Lamborghini Countach. Its polygonal wedge-shaped design looked positively Martian when the car began production in 1974—it's hard to believe that this car arrived the year after the original Ford Mustang went out of production and coexisted with cars like the Chevy Chevette. 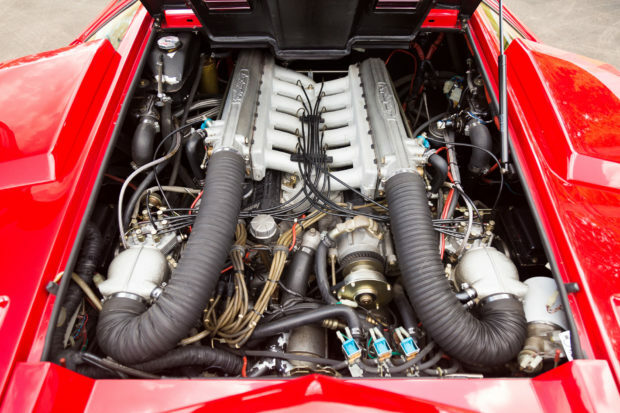 The Countach was produced with a choice of three V-12 engine—the 3.9-liter version available in the LP400 models, the 4.8-liter example from the LP500, and the 5.2-liter power plant from the line-topping 5000 QV and 25th Anniversary models. The car in question is one of the 5000 QV models and is being sold on Bring A Trailer. 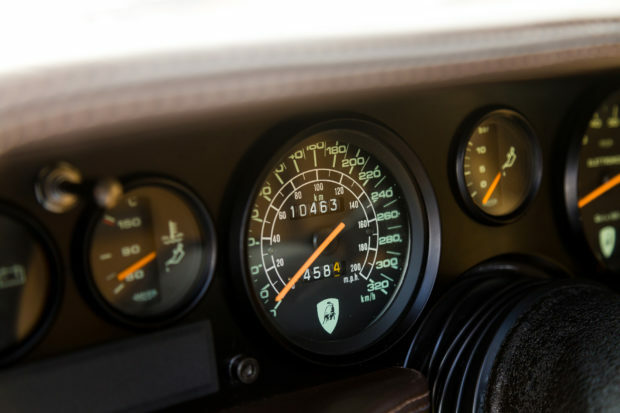 The high bid at the time this article is written is $120,000, but we can expect that to climb further, as Lamborghini fan site lambocars.com estimates this car to be worth upwards of $400,000. 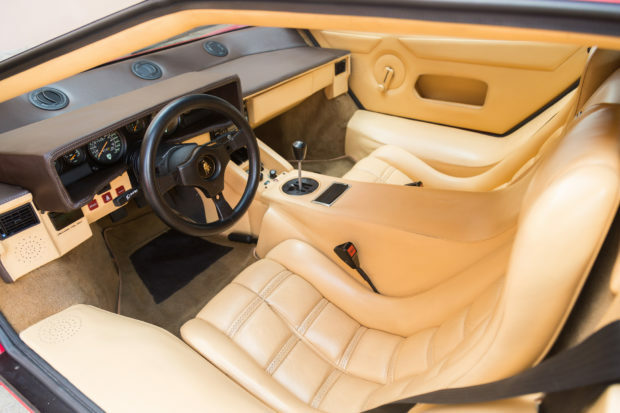 Due to its low mileage of 6,500 and all-original construction, this Countach is probably worth a significant sum more. It even has the original tires it left the factory with in 1987. If one of the people reading this happens to be the fortunate winner of this auction, heed a friendly word of warning about the aforementioned original tires. Do you remember Fast & Furious star Paul Walker, who was killed when the Porsche Carrera GT he was riding in slid into a tree and burst into flames? That accident was caused by dry-rotted factory tires, and those tires were a mere eight years old. Consider the fact that this Countach wears tires that are now 30 years old, and that tire technology has progressed by leaps and bounds since 1987. 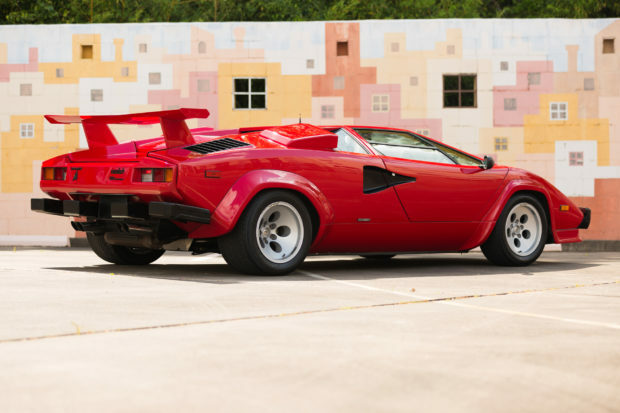 The kind of person who can afford a Countach today is not the type to worry about the cost of buying modern tires on which to drive, though. Let's hope the car gets driven instead of existing forever as a garage queen. Lamborghini has mastered what was once considered a dark art. Sorry for the vertical video.